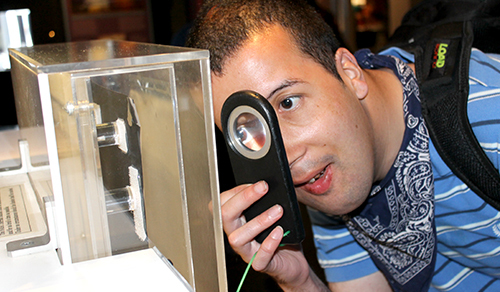 BI’s The Hub for Community Inclusion is an innovative 5-day a week program for young adults with autism and developmental disabilities that is premised on the belief that learning occurs when a person is stimulated, active, and having fun. The program runs Monday to Friday, 8:30 am to 3:30 pm and also available on a part-time basis. Each day is organized with two outings with teaching periods incorporated as well. 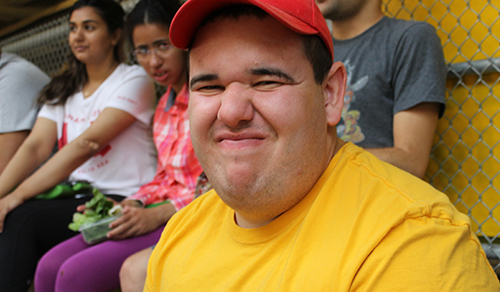 The purpose of The Hub is to provide adults and older adolescents with developmental disabilities with a supportive and enriching community experience that builds life skills and independence. We value inclusion, accountability, and individualization of supports. Services associated with The Hub are goal-directed, evaluated and built on principles of applied behaviour analysis. Enrollment varies from part-time to full-time based on the number of days a participant is able to attend with options ranging from one to five days per week. The enrollment fee for an individual in the standard group (5 clients to 1 staff) is $100/day. If the individual requires additional support the family has the option of directly providing this support or arranging staffing support through BI. Please complete the application form linked below and email (thebihub@gmail.com); fax (416-251-4688), or call the office at (416-251-9277). The life skills program is designed for adolescents or adults who would profit from learning functional life skills to move towards independence. The life skills selected depends on the need of the individual but may include toileting, other self-care skills, communication, learning how to shop, learning how to access community leisure activities (such as swimming) and learning how to complete tasks in a workplace. Teaching is provided on a 1:1 basis with an emphasis on teaching functional skills that will enhance the individual’s life quality. Life skills programs may be obtained at our school in Toronto (Children’s College) or through a home-based team. Cost of programming varies based on the programming needs and frequency of service. Group-based treatment for individuals with a developmental disability who have offended sexually against children or other vulnerable individuals. This group is led by a senior clinician and meets bi-weekly for an hour and a half session. A Community Access Plan (CAP) is developed for each participant with the input of community support staff and family. This plan systematically exposes the offended to decreasing supervision levels based on their own success in planned situations at home and in the community. This group format allows for accountability and allows for feedback. Participants are taught to identify the progressive and self-reinforcing nature of pre-offense components and are supported in the acquisition of safe, alternative strategies to reduce the risk of reoffending.